The monastery began through the interest to support Portuguese bhikkhus, and also to give an opportunity to all who would like to practice the Buddhist Sasana. The schedule includes: daily formal meditation and Pujas (devotional practices), time for offerings, and space for meditation on one's own. There is a little accommodation for supportive people to stay overnight. 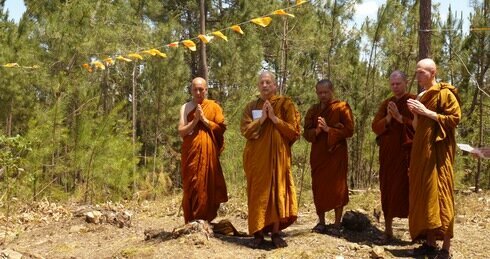 Currently there are five monks resident led by the abbot Ajahn Vajiro. Sumedhārāma is a Branch Monastery.